In the wake of the Florida gay nightclub shooting that left 49 people dead, access to guns is once again emerging as an issue in the tight U.S. Senate race between New Hampshire Republican Sen. Kelly Ayotte and Democratic Gov. Maggie Hassan. Ayotte is co-sponsoring a new proposal by Republican Sen. Susan Collins of Maine to keep guns out of the hands of some suspected terrorists. It's somewhere in the middle of Republican and Democrats bills that both failed late Monday. Ayotte supported both those bills but, in a harshly worded speech on the Senate floor, she said neither would pass and urged her colleagues to find compromise. "Let's put aside the gamesmanship and come together to get a proposal that will be effective and get a result for the American people," she said. But Democrats say Ayotte's position amounts to political maneuvering designed to obscure her true record on guns. Also on Monday night, Ayotte voted against a Democratic proposal to widely expand background checks, while supporting a different Republican plan. Those votes "were just another example of Ayotte trying to have it both ways, but her record of opposing common-sense gun safety measures is clear," Hassan's spokesman Aaron Jacobs said Tuesday. The new bill Ayotte is backing would bar anyone on the FBI's "no-fly" list and a subset of the terror watch list called the "selectee" list from buying guns - a total of roughly 109,000 people, many of whom are not American citizens. That's a much smaller subset than a ban on the entire terrorism watch list, which holds about 1 million names. The proposal also requires the FBI to be notified if someone who has been on the watch list within the past five years attempts to buy a gun. Guns have long been a tricky issue for Ayotte. New Hampshire is home to some of the nation's least restrictive gun laws, but expanded background checks are supported by a majority of voters. Following the 2012 shooting at an elementary school in Newtown, Connecticut, polling from the University of New Hampshire Survey Center showed three quarters of state voters were upset by the Senate's failure to pass a bill expanding background checks. Ayotte voted against the measure, but the same poll showed most residents didn't know how she voted despite media coverage and months of Democratic attacks. But Ayotte also has to contend with a segment of the Republican base that deems any restrictions on guns a betrayal of the Second Amendment. In 2014, Republican Scott Brown had difficulty winning support from some GOP voters because of his past support for certain gun control measures. 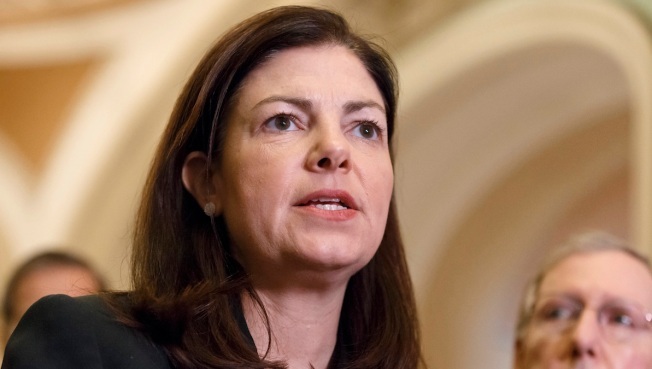 Jim Rubens, Ayotte's primary challenger, said her votes this week should "raise alarm bells." Dante Scala, a professor of political science at UNH, said pro-gun rights activists are often more effective organizers. "I don't think that independent voters will organize around gun control or vote on gun control to the degree that gun rights activists will organize around gun control," he said. But "either way she goes there is a risk." A vote is not yet scheduled on the bill, but Republican Senate President Mitch McConnell says he will allow one.